Advertising is one of the best ways to get your business noticed. Advertising and business promotions don’t stop with television or radio advertisements, however, as there are also more inexpensive ways to get your company name out there to the general public. 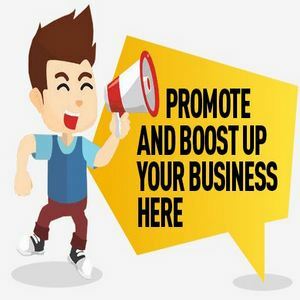 There are some companies that specialize in business promotions, and it might do you some good to see what they have to offer. Not only will you find ideas for your promotional needs, you may find gifts and incentives to hand out to employees for rewards. Some of these items double as rewards and promotional tools all in one shot. That is a great investment for any company to make. If you attend trade shows, you want to have something to hand out that has your business name on it. This is an essential part of business promotions, and there is a reason so many people do it. The common items personalized for business promotions are pens, baseball caps, notepads, and cups. If you look online, you may find great items that are hard to forget. When you use these for business promotions, you are doubling your chances of getting your name remembered. You can find a magic eight ball online that can be printed with your company information or logo. There are many other unique items for business promotions that will leave a lasting impression on potential clients. If you can’t think of something that is different from the norm, you can find something to spark your imagination online. Prices for these items will vary, so make sure you ask for an estimate as you shop. Also remember to over estimate your needs when you decide to buy. It is far cheaper to buy bulk than to go back for repeat orders when you have run out before you expected to do so. You may also find that the more interesting the object, the more you hand out. When it comes to business promotions, the more you hand out, the more results you are going to see. Anyone can give out a pen, but if you hand someone something they have never seen used as a promotional tool before, they are going to remember. The key to good business promotions is getting noticed and getting remembered. This is why you should probably put more thought into this than perhaps you would almost anything else when working on street level person to person promotions. .